Spillane's is a family run Bar and Restaurant in the Maharees famous for fresh seafood and chargrilled steaks. From crab claws straight out of the Wild Atlantic and delivered from the local pier, to Cromane Mussels and homemade burgers, our extensive menu suits all tastes and budgets. 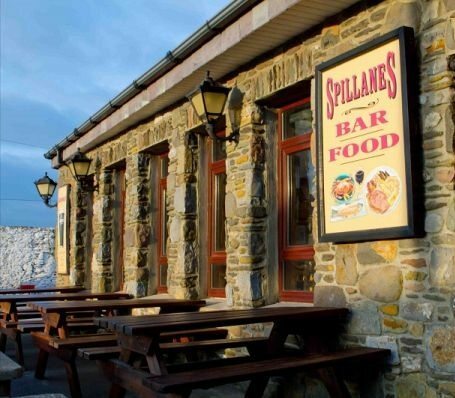 Located near Castlegregory on the Wild Atlantic Way, Spillanes Bar is a family owned and run traditional Irish country pub and restaurant built in 1875 severing both locals and tourists alike. Come and enjoy their warm hospitality and welcome and discover the beauty of the surrounding Maharees Area. We are blessed with stunning views and sunsets, especially from our outside seating. 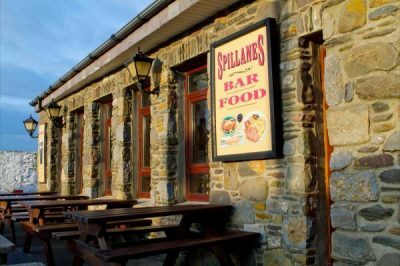 Dedicated to providing our customers with good food and drink in a relaxed and friendly atmosphere, Marilyn and Mike have been serving up great food at Spillane’s for over 30 years. 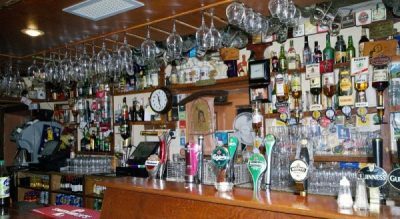 Recommended by Georgina Campbell Guides and Winner of ‘BEST GASTRO PUB IN KERRY 2012’. See our sample menu here. Food: Our menu changes with the season as various fresh produce/seafood becomes available. 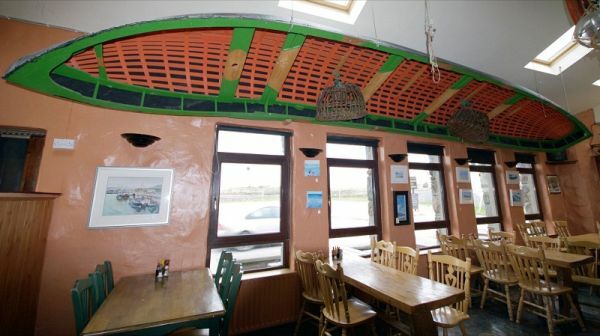 Specials board includes items such as Irish Lamb Stew, Bacon and Cabbage, Beef and Guinness Casserole, Steamed Fresh Mussels, and various Fish Options like Hake, Monkfish, Brill etc. We also have a separate Gluten Free menu suitable for coeliacs. 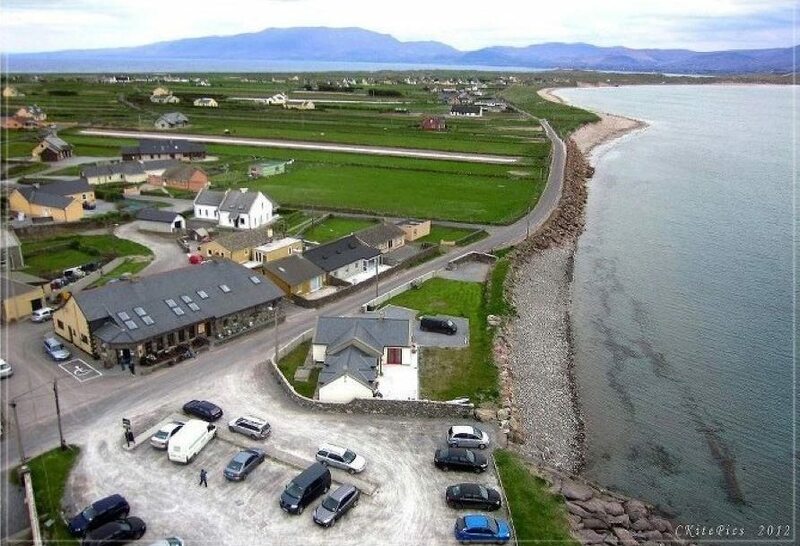 Green Policy: At Spillane’s we are striving to reduce our waste and energy consumption in order to limit our effect on the environment and protect this beautiful place we live in. We use local produce where possible in our dishes and encourage our staff and customers to play their part. We recently signed up to the Green Hospitality Program and are working hard towards making improvements in all aspects of our business and achieving certification. Self-catering accommodation also available. Contact us now for all enquiries and bookings.